Texas was not sharp on defense in Greg Robinson's first game as the Longhorns defensive coordinator this year, a 44-23 loss to Ole Miss, but was much improved in the following week's victory over Kansas State and is looking to continue progressing this week against Iowa State. More than three weeks ago, Mack Brown made a change. After an embarrassing showing in Provo, Utah, the longtime Longhorns head coach got rid of defensive coordinator Manny Diaz and brought in Greg Robinson, a familiar face, to replace him. Robinson helped Texas win a Rose Bowl title as its defensive coordinator in 2004. The Longhorns are 1-1 since making his second debut as their defensive coordinator this year and has started to click better with the team since his impromptu arrival. Since Robinson joined the team, the Longhorns have given up only 387 rushing yards — a huge area of concern for the defense — over two games. That is 163 yards less than the Diaz-led defense gave up on the ground to BYU, the last team Texas faced before Diaz was fired. Diaz handed Robinson a defense that was, statistically, the worst defense in program history in 2012. Texas allowed 403 yards and 29.2 points per game last year. In the first two games of this season, the Longhorns allowed an average of 23.5 points and 513 total yards per game. Robinson has helped change that. One of the biggest features that Robinson has brought to the team since his arrival is the outside look he has been able to provide. A two-time Super Bowl winner as the Denver Broncos’ defensive coordinator in the 1990s, Robinson has the ability to examine the team from a new perspective since, unlike Diaz, he hasn’t been around the team and looking at the same thing as them for the past two years. Jeffcoat even brought in his classroom experience from his Business Management class to explain how Robinson has helped consult the defense with his outside look. Jeffcoat joked his “company” wasn’t Enron and they weren’t that difficult to fix. Come Thursday, Robinson will have had 12 days to prepare for Iowa State. He had a bye week gave him extra time to get his defense fully on track with his schemes and a chance to get a better look at the company he is now running. This week, Mack Brown has done something he has never done in his 16 years at Texas—make a coaching change mid-season. 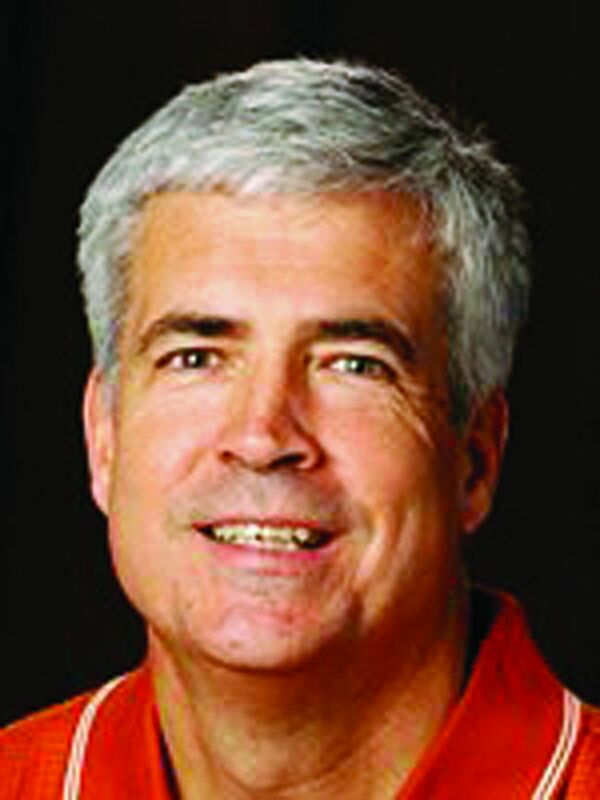 It has happened around college football for the past few years and happens from time to time in the NFL, but under Brown, Texas has never made such a drastic change to its coaching staff like it did when it brought in Greg Robinson as the new defensive coordinator this week. The last time the Longhorns switched up coaches was after their 2010 season where they went 5-7, the first losing season under Brown. The coach revamped his whole coaching staff, a move that brought in now offensive coordinator Major Applewhite and now-demoted Manny Diaz. Coaching changes, especially mid-season, will either fail for a team or benefit them. The team won’t stay the same. After starting the season 2-5, Georgia Tech fired its defensive coordinator Al Groh last season. Under the new interim play-caller, the Yellow Jackets went 4-2 and even made an appearance in the ACC Championship game. Georgia Tech was able to clinch a spot in the Sun Bowl where it eventually lost to USC. Many also know the story of the Baltimore Ravens, who relieved their offensive coordinator Cam Cameron of his duties and promoted Jim Caldwell in his place. That move obviously benefited the Ravens who went on to win the Super Bowl. Decisions such as these aren’t easy to make, but most of the time they have to be done. Mid-season coaching changes bring an added issue, however. The coach has a week turnaround period to get his squad to where it needs to be. Texas had a total of four practices with Robinson before its first game with the new coach. Texas had an advantage, however. Robinson has been with the team since July as an analyst and already has an established relationship with secondary coach Duane Akina, who he co-coordinated with back in 2004. “Missed tackle,” “blown assignment,” “another missed tackle” and “touchdown Brigham Young.” For those who suffered through Texas’ loss at BYU this past weekend, the firing of defensive coordinator Manny Diaz was expected. In fact, any lesser course of action would have been a surprise. Never before did a Longhorn defense look as overwhelmed as it did Saturday, providing one of the most embarrassing moments in program history. As a final salute to Diaz, here is a statistical look at just how bad things got in Provo, Utah, on Saturday. While BYU quarterback Taysom Hill is clearly talented, he’s no Vince Young. Yet, Hill’s 259 rushing yards left him just eight yards shy of Young’s FBS record of 267 yards, accomplished in 2005. The unofficial stat was 24 missed tackles by the Longhorn defense. And it’s not as if Hill’s arm opened things up for the run game. Hill’s 34.6 completion percentage (9 for 26) was unimpressive, resulting in only 129 yards through the air. That’s right, the quarterback logged twice as many yards on the ground as he did through the air. Hill wasn’t the only Cougar to prey on the Longhorn run defense. BYU running back Jamaal Williams played his part, too, gashing Texas for 183 yards on 30 carries. While his 6.1 yards-per-carry average pales in comparison to Hill’s 15.2-yard average, both are well above the FBS average. BYU’s run game was stellar from start to finish, but the first half was particularly notable. By halftime, Texas had already surrendered 349 rushing yards, the most ever in a single half during the Mack Brown era. The Longhorns also scored three of their four touchdowns in the first 30 minutes. Longhorns YPC mark of 3.4 in the game. Texas didn’t just lose its first non-conference road game since 2000 — it got stomped. With the talent, facilities and payroll dedicated to this program, Brown and Diaz have no excuse for this kind of performance. Greg Robinson is here to save the day, but for this defense, it may be too late. Brown sat in front of the media Monday morning and addressed one of the most turbulent weeks in Texas history, concluding with the dismissal of defensive coordinator Manny Diaz. It’s the first time in Brown’s 16-year tenure that he has demoted or fired a coach in-season. That fact alone is a beacon of desperation, no matter what the 62-year-old coach with a pedestrian 23-17 record for the last four years says. Texas’ head coach smiled, calmly answered questions and even cracked a joke about the team’s offensive philosophy. But the underlying message from Brown, the players and even the Longhorn staff is clear: It’s a tense time in Austin. Seniors Adrian Phillips and Carrington Byndom spoke with defeated looks in reference to Diaz getting demoted, and offensive coordinator Major Applewhite’s tone when addressing questions was so soft it was nearly inaudible. Brown’s demeanor was different, though. He managed to be terse, yet approachable, almost as if he felt the team’s struggles don’t merit the attention garnered. Perhaps it’s just a matter of Brown staying calm in the face of controversy — it’s what a good coach should do after all — but the nonchalance shown wasn’t appropriate for a coach whose job is rumored to be on the line. But no matter his attitude toward the situation, Brown should still be wary about his job status. He’s the second-highest paid coach in the FBS, the highest-paid state-compensated employee and he leads a starting lineup that includes more four and five-star recruits than the majority of FBS programs. Still, he’s led Texas to only four BCS appearances in 13 seasons, while his biggest rival, Oklahoma head coach Bob Stoops, has appeared in eight in that same span. Texas’ struggles the past four seasons are almost inexplicable with the talent and resources the program features. This presents a problem, too, because it is Brown’s imperative to identify and solve the issue — a task he’s been just as successful at as the average couch-sitting, chip-eating, remote-throwing fan. The Longhorns’ season isn’t over. One loss in the non-conference portion of the schedule is a setback, but a Big 12 championship in a conference defined by parity remains a possibility. But after the embarrassment against BYU last Saturday, it would be hard to envision any extended level of championship-level play. The onus is on Brown to solve this riddle soon or his fate will mirror Diaz’s. Wonder if he’s feeling any pressure now? It was deja vu on Saturday evening. Texas appeared to be the 2012 team it didn’t want to be. After close to a two-hour weather delay, Brigham Young University and Texas took the field for a game that the Longhorns definitely want back. The 40-21 loss for Texas brought flashbacks of the 2012 team, the same defensive unit that was the worst in school history. Texas started slow both offensively and defensively. The Longhorn defense gave up 349 rushing yards to BYU in the first half alone, the most it has allowed in one half in the last 10 seasons. In total, Manny Diaz’s defense gave up 550 yards on the ground, which broke a dubious record for the most rushing yards allowed in a single game in program history. Texas’ offense was without star Daje Johnson, who left the game in the first quarter with an ankle injury. It got worse for Texas when Ash eventually left the game after being shaken up on a scramble in the fourth quarter. Major Applewhite’s offense struggled without Johnson, who is a key weapon for the Longhorns on the ground and in the air. Texas was only able to capitalize on three drives in the game, which was a problem Brown hoped to solve with the team’s new up-tempo offense. “When you lose a guy that’s involved in packages, like Daje, obviously you’ve got to find somebody else to put in that place, and certain things immediately go out the window,” Applewhite said. In the second half, Texas showed no improvement. BYU quarterback Taysom Hill was able to lead his team down the field for another 13 points while the Longhorns failed to produce points on offense. Diaz’s defense has faced criticism in the past for not being able to stop the run game, and the unit struggled once again Saturday night. Hill ran over Texas’ defense, recording 259 rushing yards — the second most yards in a single game in BYU history. All Brown could do was explain the obvious and he did it quite simply. “I didn’t think our coaches and our players lived up to what we needed to win tonight, including me,” Brown said.